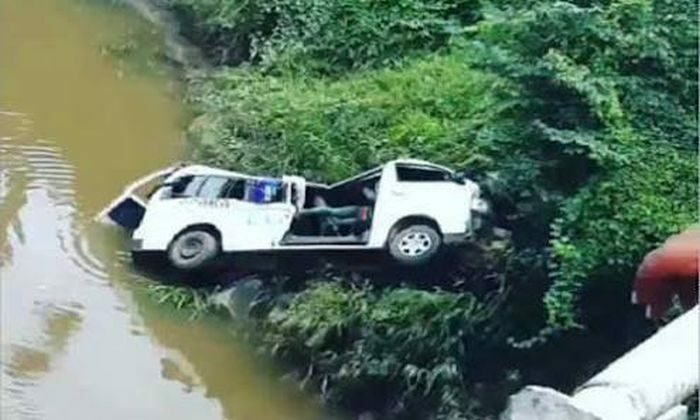 Seven passengers have so far been rescued after an 18-seater bus plunged into a river along (Akala Olu) Okogbe-Mbiama Axis, East-West Road Of Ahoada West LGA, Rivers State. The incident occurred, yesterday, after the driver lost control, while the bus skidded off a flooded bridge before plunging into the river. According to the conductor who survived, the bus was traveling from Port Harcourt to Yenagoa when the incident happened. He said there were about 20 passengers, excluding children, in the bus.